It sports almost twice the power as last year’s Surface Laptop, but comes at the same $US1,000 price tag. 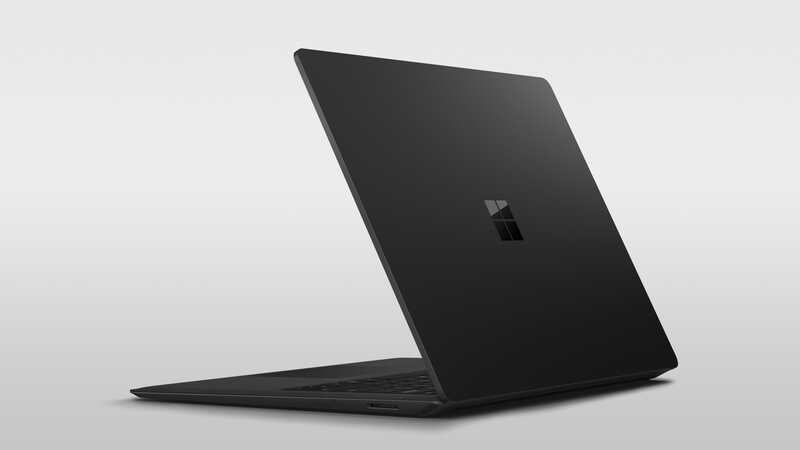 A sleek new matte black colour option is also available for the Surface Laptop 2. Microsoft announced its brand-new Surface Laptop 2 during its event in New York City on Tuesday with almost twice the power as last year’s model – for the same starting price of $US1,000. The latest iteration of Microsoft’s very own line of laptops looks nearly identical to the original Surface Laptop, save for a sleek new matte black colour option that will be offered alongside the existing blue, burgundy, and silver options. The gold option from the original Surface Laptop hasn’t made the jump to its successor. The Surface Laptop 2 with a Core i5 processor, 8GB of RAM, and 126GB of storage will start at $US1,000 with pre-orders starting on Tuesday October 2. It will be available to buy on October 16. The real changes are mostly under the hood. Microsoft is making the the Surface Laptop 2 significantly more powerful – up to 85% more so, the company says – than the original Surface Laptop. 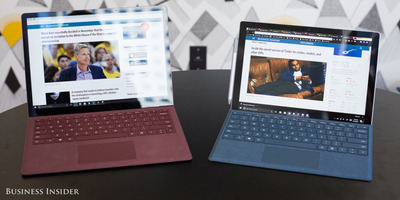 Melia Robinson/Business InsiderThe original Surface Laptop, pictured on the left, should give you an idea of how the new Surface Laptop 2 looks and feels. The main changes are under the hood. That’s Microsoft’s Surface Pro on the right. That performance boost comes from Intel’s 8th-generation Core i5 and Core i7 chips, sporting four cores – newer and faster compared to last year’s 7th-generation Intel chips that had only two cores. It essentially means that the Surface Laptop 2 can run more apps at a faster speed than last year’s model. It also means that Microsoft finally caught the Surface Laptop up to many of its closest competitors, including the Apple MacBook Pro, which have been running Intel’s latest 8th generation of quad-core chips for months.